1980, original mass market paperback edition, Berkley, NY. 246 pages. Color cover by Rowena. Book 3 in the Tarot sequence. Fantasy novel by an acclaimed science fiction writer. A wanderer monk named Paul finds himself on a hideous journey and faces reality. 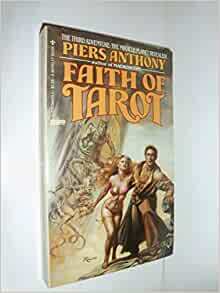 Piers Anthony is one of the world's most popular fantasy authors, and a New York Times bestseller twenty-one times over. 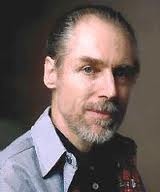 His Mode novels have been read and loved by millions of readers around the world, and he daily receives hundreds of letters from his devoted fans. 4.0 out of 5 starsGlad to know how the trilogy ended. I wanted to read this due to having read the other two in the trilogy decades ago. It wasn't memorable but I'm glad I read it as know I know how it ended. This version was used but in excellent condition. To go the whole religious hog, you have to go to Hell, baby. Which, given he is on the planet Tarot, Paul can undertake in a somewhat literal sense, and does so. This can be seen in the somewhat cool Rowena cover for the book, to give you the idea. "I offer a rationale," the Rt. Rev. Crowder said. "Let us surmise that, for the benefit of the Universe or at least the Galactic Cluster, it is necessary to educate a series of sapient entities in a very special way. High-Kirlian-Aura creatures to be suitable tools, perhaps fashioned from imperfect clay, yet tailored to the need. Call them Herald the Healer, or Melody of Mintaka, or Flint of OutworldÃ¢â,¬âor Paul of Tarot. Perhaps even Jesus of Christ. Assume that these entities, properly prepared, will set in motion currents that will in the course of several millennia preserve the entire Cluster from needless and ironic destruction. As by devising or reconstituting a deck of cards whose images evoke key understandings on critical occasionsÃ¢â,¬â"